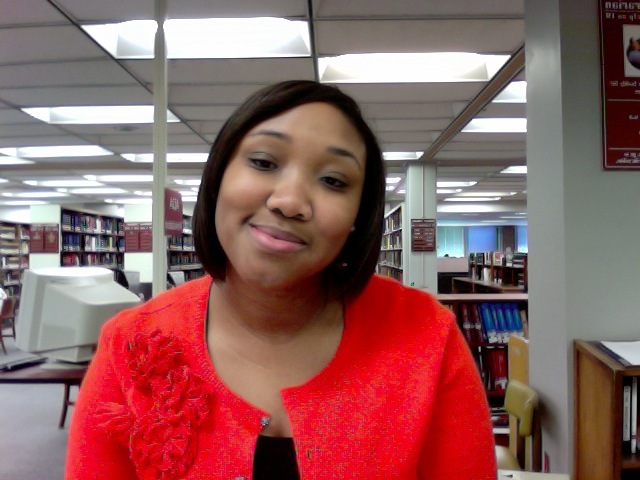 The ALAO Diversity Committee is pleased to award the annual Diversity Scholarship for 2010-2011 to Jasmine Jefferson. Jasmine graduated from Kent State University with a degree in American Sign Language in December 2009 and began graduate study at the School of Library and Information Science (also at Kent State) this past spring. The ALAO Diversity Scholarship awards Jasmine $1,500 towards her tuition, complimentary registration for the ALAO annual conference in October and a year of mentoring support from an ALAO member. The ALAO Diversity Committee was impressed with the overall quality of this year’s applicant pool, but Jasmine’s demonstrated commitment to diversity and strong academic record helped her application stand out. In particular the committee appreciated her broad, inclusive approach to diversity. She stated in her scholarship application that “I believe it is important to not only advocate for multiculturalism, but also for persons who are differently-able….” Jasmine currently works as a graduate assistant in Reference and Periodical Services at Kent State University Libraries. Congratulations to Ms. Jefferson! The Committee is confident she will be a strong leader and advocate for diversity and inclusion in academic libraries. This entry was posted in Vol. 28 no. 2 (Jul 2010). Bookmark the permalink.